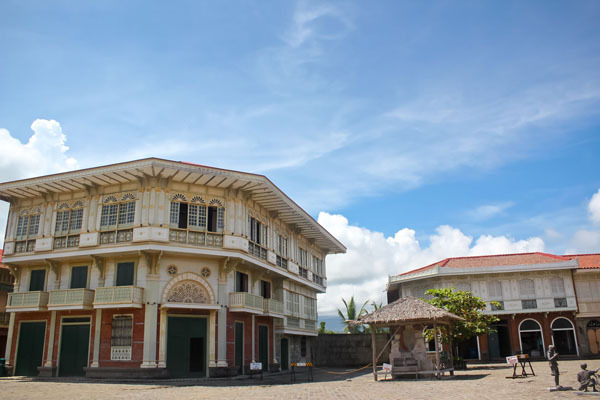 When a Deal Grocer deal popped up for Las Casas Filipinas de Acuzar in Bataan, it was hitting 2 birds with 1 stone! 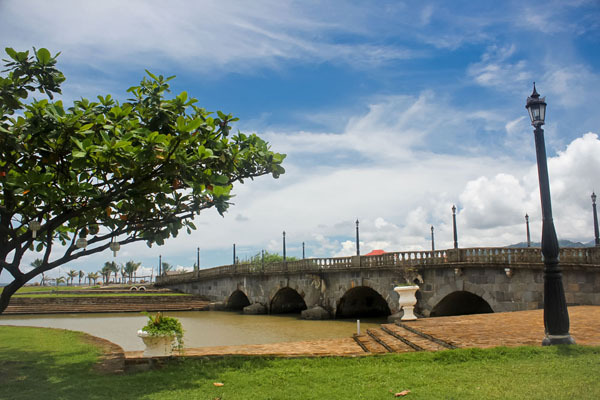 Las Casas has also been on my list of places to visit. So 1 weekend, the kooky cousins and I went on a road trip! 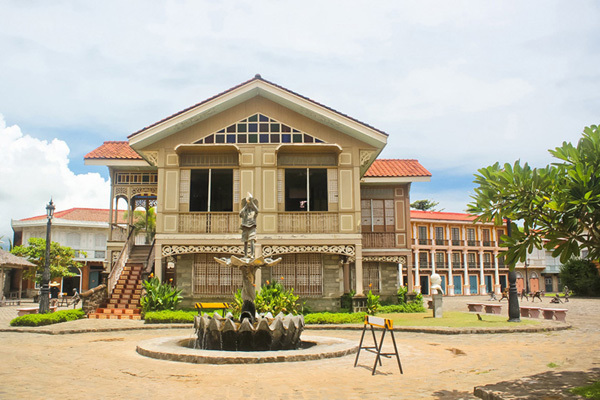 Las Casas Filipinas is a property containing reconstructed heritage houses from all over the country. 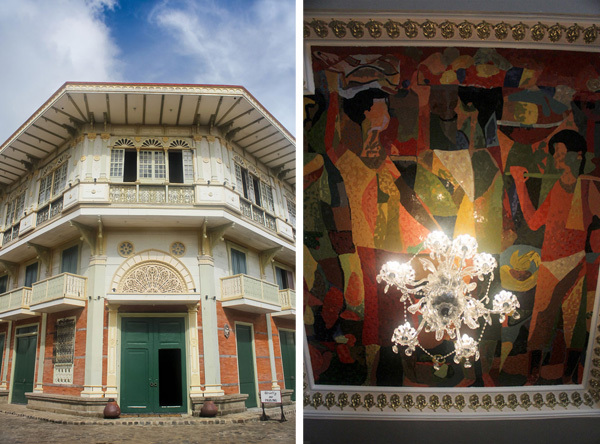 Each house has a story behind it and was painstakingly transferred to Bataan. 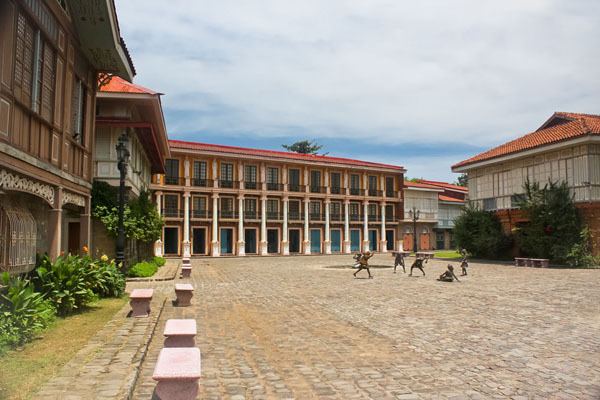 There are different types of houses in the compound representing the various classes of society during the Spanish era. You know how there are places who hire such an excellent photographer that the place looks exponentially better in photos but when you get there you say "eeeyyy?!". That’s not the case for Las Casas, it was as stunning and breathtaking as the photos I’ve seen. 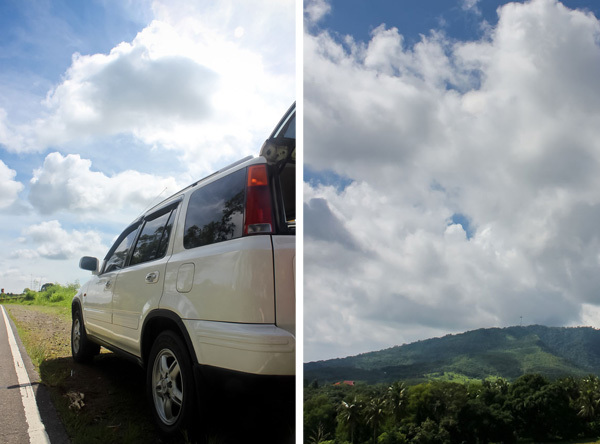 We were blessed with great weather which made the weekend extra special. There are several lodging options at the property: renting a room in one of the heritage houses, renting an entire heritage house or getting a hotel room. At full occupancy, Las Casas can accommodate up to 200 guests making it a favorite wedding venue. Casa Bizantina is one of the many houses you can spend the night in. 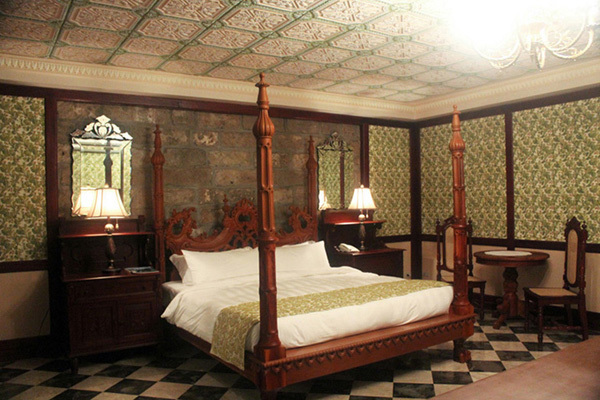 It is an extraordinarily decorated house exhibiting the opulence of the era. 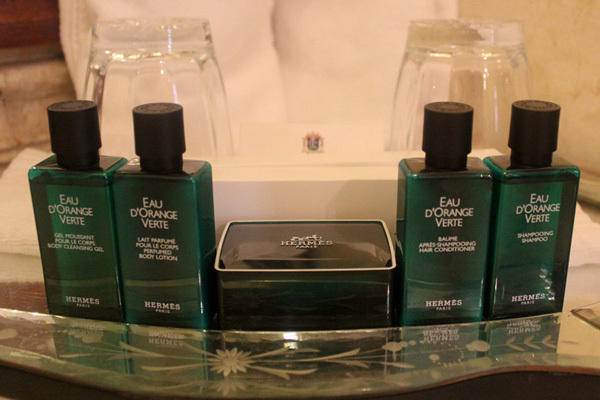 The seven bedroom house is equipped with modern amenities. 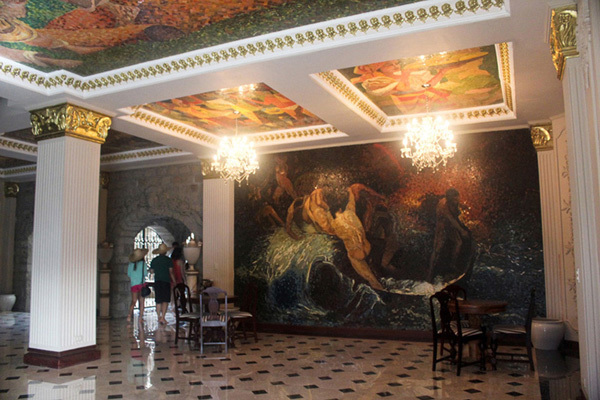 A room in this house costs P16,000 – 40,000 per night. You can splurge and rent the 380 square meter house for P150,000 per night. 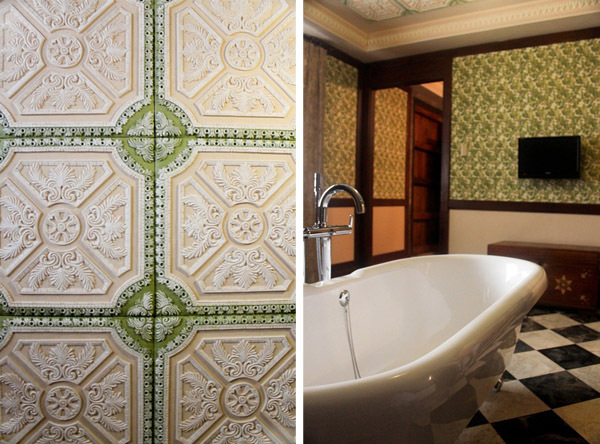 It was common for houses built in the 18th and 19th century to have painted walls and ceilings. 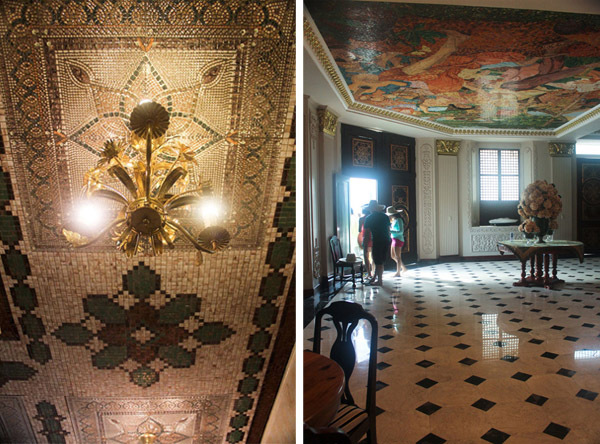 When the house was restored, contemporary Filipino artists were commissioned to create these. How wealthy would a person be to have a bathroom like this? It is flipping beautiful! I would never leave my bathroom if it were this gorgeous. Talk about a sanctuary. I saw houses in Taal that had this design and I thought it was purely aesthetic. 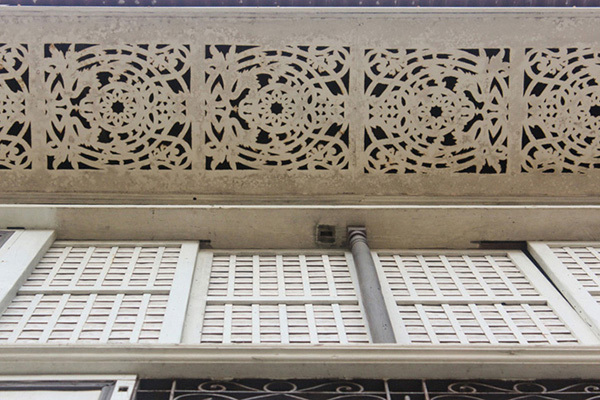 Apparently, those intricate designs help the ventilation of the house. That’s what I call the perfect marriage of form and function. The whole property is a whopping 400 hectares but only 20 hectares have been used for phase 1. Apparently, the owner envisioned it to mirror the different chapters of our history. Phase 1: Spanish Era, Phase 2: American Era, Phase 3: Modern and Phase 4: Futuristic. O was surprised to learn about that because I really thought the property would stay in it’s colonial form.